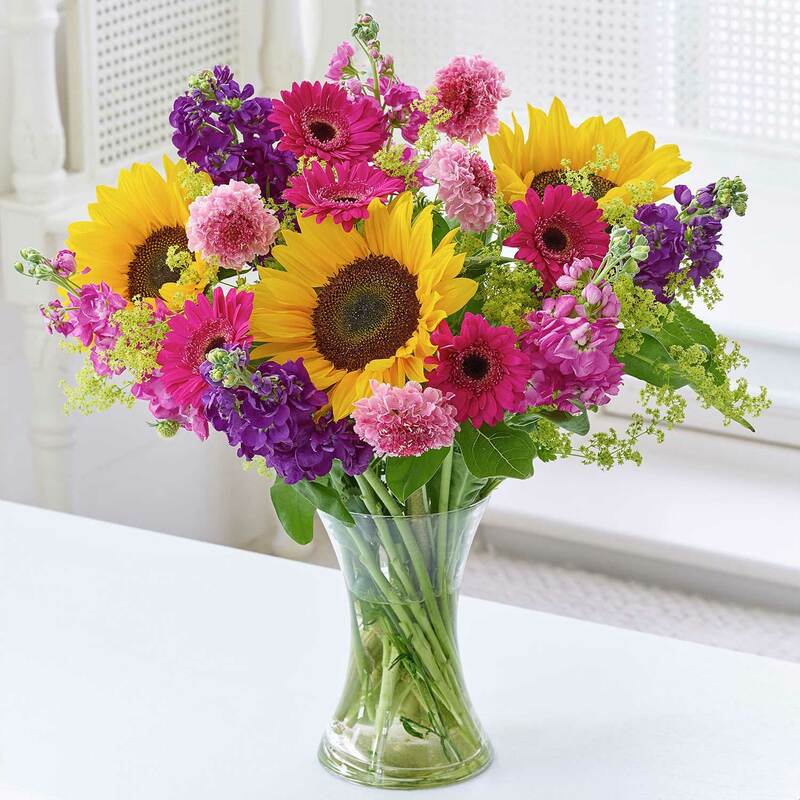 Featuring cerise germini, sunflowers, pink scabious, alchemilla, purple stocks and cerise stocks. Please Note: Vase not included. This product contains 18 stems.